Raw cat food is ideal for our carnivore cats, say some folks. Are they right? Or is dry kibble just fine? Well, then listen to your cat. If your cat's health is touchy, then please read on to learn the truth about dry kibble, and about raw meat actually fed long-term to cats. This is a rabbit website, but we have pets too. We're very pleased with how well our own cats are doing on their diet of raw rabbit meat, bones and organs. Their skin is healthy, their coats are incredibly thick and glossy, and it's been a LONG time since we visited the vet OR saw a single flea. So we wanted to provide these links to the following excellent informational raw pet food sites. Check them out, and decide for yourself about feeding your cat raw food instead of the dry, kibbled stuff. While it’s never best to get all your information from one source, this website is singularly outstanding. "My only credential," says the author, "is that I used diet alone to liberate a sick cat from a very miserable disease that plagued him for six difficult years." Her cat, Duke, suffered from full blown diarrhea, diagnosed as inflammatory bowel disease (IBD). "To make a long story short," she concludes, "Duke got completely well again, quite literally overnight, because I finally came to understand that if I paid attention to what I fed him, many seemingly intractable and allegedly ‘incurable’ problems could disappear." This is a wonderful website, a great place to start learning of the ‘miracles’ that can happen by simply giving cats the nutrition their bodies crave and that their immune systems must have. Besides information and testimonials, you’ll find a "Raw Cat Food Diet Recipe Made with Real Bones," a guide on how to make the raw cat food, nutritional information and tips. "Feeding your Cat: Know the Basics of Feline Nutrition"
This is the website of famed veterinarian Lisa A. Pierson, DVM. This site is full of information that capably supports her assertion that your cat will not thrive without raw animal protein. For a raw cat food recipe, click on the Making Cat Food link for a very complete set of directions on how to make raw cat food in bulk, including grinding the bones, and which organs and supplements to include in the raw cat food recipe. You'll know exactly what to do, and you'll have the confidence of knowing you CAN do this well. "Feeding Cats a Diet of Whole Raw Foods: Based on Nature’s Model"
This is the purist’s website. It isn't as if they disagree, per se, with the information presented above. They just like the idea of giving big chunks of meaty bones. They have amazing pictures of cat teeth - gleaming white - set in pink healthy gums. Not a sign of tartar anywhere, and you can be sure no toothbrushes were used. If you follow the raw food guidelines on this website, your life will stay very simple. They suggest you give whole pieces of raw chicken, rabbit or other raw meat and organs to your cats. You won’t need a grinder if you accept this pet food in raw whole pieces approach. Have more questions? This site has an extensive links page that you can use as a stepping stone for your further research. This site also presents "The shocking and Grisly Truth" about dry cat (and dog) food kibble. This information NEEDS to be known far and wide. Seriously. The page is short, the print is large, and you'll see lots of pictures. United Kingdom Raw Meaty Bones Support and Action Group. This is an information-rich site for cat and dog owners in the UK. There's also a forum for discussion you can join. If you conclude, as we do, that a raw cat food diet will be highly beneficial for your cats, then we recommend you give it a try! If you're already raising rabbits, feeding your cats could become that much easier, since rabbits are an ideal prey animal. 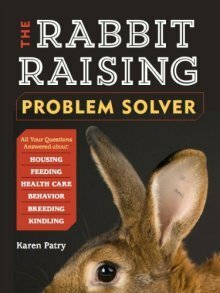 Raising-Rabbits provides guidance on humanely killing and slaughtering rabbits. But, not everyone has the time or the inclination to raise the rabbits and then reduce them to entrees by themselves. The demand for raw rabbit is very high, especially as whole-prey or raw meat, bones and organs for your cats. We have, however, located what we think will be a reliable supplier of raw frozen rabbit. 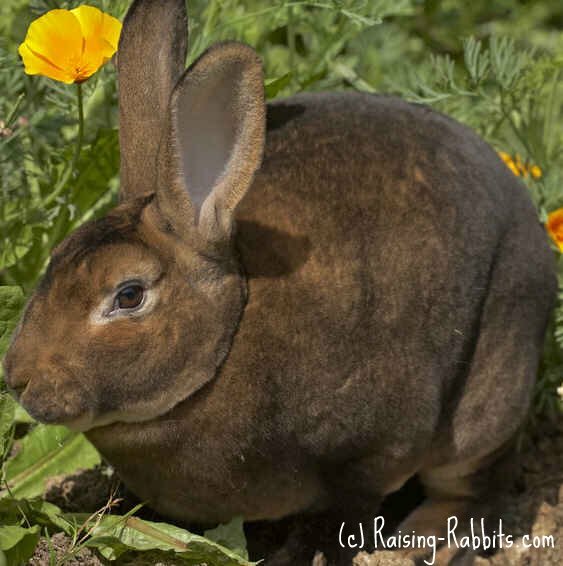 Carla, at Rabbits4U.com, has created a network of rabbit breeders, resulting in a growing supply of rabbit within a few days of shipping from most areas in mainland USA. Visit our Raising-Rabbits store to order frozen raw rabbit online.